We had such an incredible week in the studio with you! You inspire us to stay committed each day and we love helping you transform. We have one week left in March and we are so excited to see your March calendar filled out! Let’s finish March strong! Remember when you send us your completed calendar at the end of the month, you will win a prize! Recovery is vital to our physical and mental health! We love getting to spend our last five minutes in the studio with you focusing on recovery and allowing our minds to renew. Whether you are training for a 5k, marathon, or every day life, we all need to spend time recovering and resting in God’s truth! Below are three ways to recover post-workout or at any point during your day! Magnesium is a nutrient that the body needs to stay healthy. Magnesium is important for many processes in the body, including regulating muscle and nerve function, blood sugar levels and blood pressure, and making protein, bone, and DNA. Get our favorite magnesium supplement on amazon HERE! 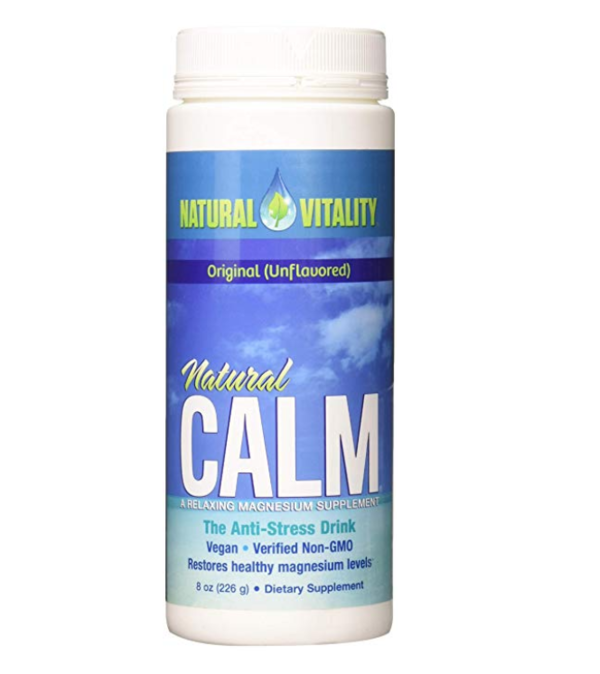 Take this Natural Calm supplement at night before bed for best results. Here are just a few health benefits of magnesium! Magnesium is important for bone formation. It helps assimilate calcium into the bone and plays a role in activating vitamin D in the kidneys. Vitamin D is also essential for healthy bones. Optimal magnesium intake is associated with greater bone density, improved bone crystal formation, and a lower risk of osteoporosis in women after menopause. Calcium and magnesium are important for maintaining bone health and preventing osteoporosis. Without magnesium, a high intake of calcium can increase the risk of arterial calcification and cardiovascular disease, as well as kidney stones. Magnesium plays an important role in carbohydrate and glucose metabolism, so magnesium status can also impact the risk of diabetes. Several studies have associated a higher intake of magnesium with a lower risk of diabetes. Magnesium is necessary to maintain the health of muscles, including the heart. It is also crucial for the transmission of electrical signals in the body. Adequate magnesium intake has been associated with a lower risk of atherosclerosis, a fatty buildup on the walls of arteries, and hypertension (high blood pressure). Reductions in magnesium levels, or changes in the way that it is processed, have been linked to increased levels of anxiety. This appears related to activity in the hypothalamic-pituitary-adrenal (HPA) axis, a set of three glands that control a person's reaction to stress. Research has shown that a low-magnesium diet may alter the types of bacteria present in the gut, and this may impact anxiety-based behavior. We always encourage you to stretch after each workout because active recovery (stretching) is essential to recovering and helping your muscles relax! As we work out, we tear our muscles (little tiny tears, but tears nonetheless) and the way our body gains strength in our workouts of any kind is through healing and repairing those tears. In turn, we end up with strengthened, lengthened, toned, and more flexible muscles. Our stronger muscle tissue is also less prone to injury or strains. This happens a small amount at a time, so daily practice is the best and quickest way to see results in your flexibility and strength. Below are three benefits of stretching as a form of recovery! 1. Stretching improves your flexibility and range of motion. Exercising can cause muscles to become tighter than normal, so your range of motion decreases. As a result, your body can become more prone to injuries. Therefore, it is crucial to increase your flexibility to help improve your body's strength, balance, and health. 2. Stretching can improve your mobility and your performance in activities. As you stretch, you are lengthening your muscles and increasing the blood flow to your muscles. It will then become easier to work those muscles while exercising and will allow your muscles to work effectively. 3. Stretching allows you to clear your mind and thoughts. It is easy to recognize stress, but sometimes we forget about the toll stress can put on our bodies. Stretching daily will allow your mind to focus on something other than your to-do list or schedule for the day. Your body is able to concentrate on what is important, allowing the mind to recharge. We ask ourselves often, how can we transform our minds? Rest is a pillar of health we know we need, but don't prioritize. Rest is vital to the rhythms of our life. Rest is a gift from God which serves specific physical, mental, and spiritual purposes. We can honor God with our bodies when we take intentional time to rest, reflecting on our many blessings with having grateful hearts and acknowledging our dependence on Him. Check out a past blog with more information on how to improve your rest and sleep habits HERE. Our March Lunch and Learn is this Thursday, March 28th! It’s not too late to register! During this luncheon, we will cover safe and efficient running. Topics include form fundamentals, nutrition, running shoes and favorite running gear, and health benefits. TransFit Running Director Lisa Patton will teach us about running/walking hills efficiently and safely, how to run/walk a 5K, and strategies to help us get faster! TransFit Registered Dietician Kaeti Shurling will teach us about the best foods for runners. We will also have Fleet Feet Athens and Lululemon here as guests! You do not want to miss this! The cost to cover lunch is $15. You can register on the free TransFit app under Special Events! Join us for yoga every Friday at 9:30 am to focus on recovery and stretching after a long week! You can sign up on our app HERE! Let us know how we can serve you! Email us at transfitathens@gmail.com if you have any questions or want to schedule a one-on-one. ✨ Here’s How to Finish March with Energy!